The new Apple iPad is less than a week old and already there seems to be a problem with the Wi-Fi connectivity on the tablet. Some users are complaining that the Wi-Fi signal strength on the new iPad is too weak. One user in a hotel room said that the hotel's Wi-Fi signal registered as the strongest possible and yet the iPad showed a weak signal. Another user had to post to a blog about the new iPad from his OG Apple iPad because his new tablet wouldn't pick up the Wi-Fi signal that his older Apple tablet did. Some buyers of the new iPad are ready to return it. One frustrated iPad buyer is upset because in a room where there is perfect Wi-Fi reception for an Apple iPhone and two MacBooks, the new iPad won't hold a Wi-Fi connection for more than 2 minutes. "Ready to return iPad!! !," said the user. One iPad owner said that the Wi-Fi on his iPad wouldn't work unless he was within 6 feet of the router. If this all sounds familiar, it's because Apple had similar problems with the original Apple iPad in 2010 and that problem was resolved with a subsequent software update. And in addition to the problem with Wi-Fi connectivity, there was also talk that the third iteration of Apple's tablet was running hot, about 10 degrees warmer than the iPad 2. The Cupertino based firm has denied this, saying that the new iPad runs within "thermal specifications." The only other issue regarding the tablet is the speed at which users are blowing through their monthly data cap. If you are streaming video, your best bet is to do so over a Wi-Fi hook up. In 2010, PC Mag's mobile analyst Sascha Segan showed how easy it was to burn 5GB over Verizon's LTE network in just 32 minutes. If you call Apple or Verizon, they would suggest that you use your Wi-Fi connection. And you might have no problem doing that except for the problem that iPad users have had with Wi-Fi connectivity. See what we did there? It's the whole Circle of Mobile Life thing. "no. there is no problem with new magical ipad. they are just connecting it wrong"
people just need to learn how to hold an ipad in the correct way. This problem was so irritating, I got so fed up with it. I have spent a lot of time on google, looking for a solution to this. I did a bunch of research came across WIRED magazine and found a extensive and detailed review of Pong Research cases. These guys make a very special case which has a built-in antenna in between its layers, which redirects and boost the signal and range of your new iPad, iPhone and other devices. As a result, I'm able to connect to my router from much further without a problem. Besides that, this also comes with an improved version of the Apple Smart Cover which asides from retaining the sleep/wake function, because of its origami design, you can fold it and stand it in 5 different positions - very cool in my opinion! Well...frankly I don't deny the people with issues, but I haven't had any issues with anything so far. How has your experience been? Have you had the overheating problem? 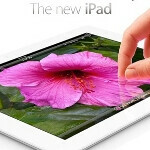 My wife is thinking about a tablet and I am pushing her towards the iPad2. L M F A O Good old apple quality and innovation, can't even figure out how to make wifi work, LMAO. Wait for it, they'll say "you have to hold the iPad upside down, at a 68 degree angle tilted forward when the moon is full or it won't work. Duh." Haha! I'm in the library and burst out laughin at that comment!! LMAO!! eerrmm, since when, punk? anyway, GPS is not really a necessity, you don't use GPS that often, unlike WiFi that is kind of a necessity with tablets/smartphones.. it's like saying, apple don't have an umbrella to walk under the rain, but you defend that by saying that Samsung don't have a purse to walk under the rain, but still have an umbrella..
"Ready to return iPad!!!".... Like I believe Apple fanatics will. Yeah, expecting a $500+ product to do something as simple as wifi is over reacting. K.
I'm not surprized. The Asus Transformer Prime has issues with long range wifi just like the iPad 2 does. Part of the problem is the aluminum back. Right, only 3 things wrong so far and not even a week later. Not like you ever overreacted from 1 thing wrong with an Android device eh? A few days old and three bad faults,hardly over reacting,lets not forget this device is meant to be resolutionary! andro, you forgot that Resolutionary is different with revolutionary, so now people can only complain about the screen and resolution, but not other things.. and that's about it with the new iPad, only the screen, and nothing much.. not even proper WiFi.. I really think that device manufactures need to take some time to make better devices and not really worry about how fast they can produce devices. Instead of releasing a new iPad every year, take a couple years and make a higher quality device and actually test the device in REAL WORLD situations and not in test facilities. This should go for everyone, not just Apple. We'll see about 90 comments of haters and trolls. I'm sure this is an issue for some, but most likely it will be a minor issue and won't affect the majority of users or sales. This is bogus will you please find something else to write about besides the iPad iPad iPad iPad iPad iPad iPad itts the best tablet out there get over it all these stupid post won't change any thing there selling millions of them for a reason They work period. oh, yeah, they work like period..
Why does phone arena need to have an article for each of the problems with the ipad. No device is perfect, samsung galaxy s2 had heating problemshttp://androidforums.com/samsung-galaxy-s2-international/349947-heating-problem-s2.html and the samsung galaxy nexus had radio problems as wellhttp://androidforums.com/samsung-galaxy-s2-international/349947-heating-problem-s2.html All of the comments have been troll comments or jokes, if there is something wrong with the ipad, take it back, get a new one, it hasn't even been out for a month yet! Most of the bugs will get ironed out in updates, like the s2 and nexus, they were resolved in updated, but they had problems in the beginning. Considering its THREE things so far and the iDevices are sooooo popular what did you expect honestly. ok, so you said the S2 had ONE problem and the GNx has also ONE problem.. so two out of two devices.. and this is THREE out of ONE device.. "Why does phone arena need to have an article for each of the problems with the ipad" PA had its fair share of the shiny features of the iPad, too.. so it's fair to state both sides, i think.. and they also features articles about problems of other devices, most notably the GPS issue in the Transformer Prime.. I was a diehard android user still have some android phones but after buying my iPhone 4s and now my iPad3 I have got to say these devices are great they just work no lag no studdering ther smooth and just work no pulling batteries turning phone on and off like my wife with her droid x stop hating people give credit where credit is due. i give credit where it's due, but i give critics when they are due as well.. Doesn't get any warmer than my Samsung galaxy tab 7.0 plus I had.